Noida has emerged as one of the most popular residential hubs in the country in recent years. 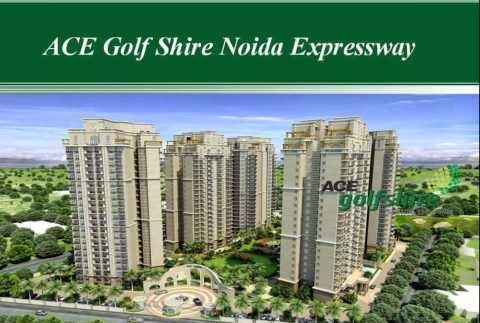 If you are willing to move to Noida to experience its enriched social infrastructure, you may opt for ACE Golfshire, one of the most luxurious residential estates in the city. The new residential estate has come up in Sector 150 of Noida, ensuring easy reach to the important commercial places around. With 80% open space around, the residential complex present’s quality lifestyle to home-lovers. The estate spans 5.69 acres of land, with a large section of the area dedicated to public use. Beautifully landscaped gardens and extensive green areas in the residential complex bring you an optimum green living infrastructure. You will enjoy the right mix of luxury and elegant when you move to these apartments. The residential complex comes with 3 BHK apartments, and you can get these apartments across various floor areas. The apartments have been developed, considering the aspirations of people a taste of green living. An intelligent floor plan ensures the optimum utilization of space. The apartments are spacious and the wide balconies and large windows ensure optimum ventilation in the apartments. The estate comes with a green cover, with a number of trees mesmerizing the view of the residents. Besides, you can enjoy a number of lifestyle and fitness amenities in the complex. The estate comes with a dedicated play area for the kids, clubhouse, meditation center, walkways, golf course, swimming pool, gym, and jogging tracks. Fitness enthusiasts will enjoy a good time when they move to ACE Golfshire Noida. The gated complex is highly secure and people in the apartments enjoy uninterrupted power and water supply for 24-hours. Besides, the residents get piped gas, seamless intercom facilities and other facilities in the complex. One of the most important reasons for the popularity of residential apartments in Noida is the tremendous employment opportunities in the city. A number of blue-chip companies have come up in the region. The IT companies are also expanding to Noida, further leveraging the employment potential for the residents. A seamless transportation infrastructure in the city ensures fast connectivity to the commercial places. The proximity to Delhi has increased the commercial importance of Noida. The Noida Expressway connects Sector 150 to the other places around the complex. Besides, a proposed airport is coming up in the area. A metro project has also been under construction, which will further facilitate swift transportation in the city. Several elevated corridors have been developed in the region, including the FNG link, DND Flyway and Yamuna Expressway. The enriched transportation system in Noida ensures fast access to important places. The educational and healthcare infrastructures in the city are well-developed. A large number of schools, colleges, universities, and hospitals are located close to Sector 150. Residents in these apartments can enjoy easy access to these institutes. Investors and homeowners looking forward to buying apartments in this residential complex should make their investment now. The Property in Sector 150 Noida is likely to rise in the coming years. Get a luxurious apartment for yourself and enjoy the classy homes in the residential complex. 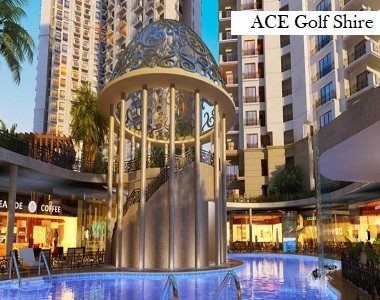 Ace Platinum is another project developed by Ace Group and it is located in Greater Noida. Located at the prime location of Sector 150. Located on Proposed Expressway to Faridabad. Net to Noida-Greater Noida Expressway. Quick access to Yamuna Expressway.